Sean Riley, President of Markville Lincoln, is please to present to representatives and players of the Markham Waxers Hockey Assoc. 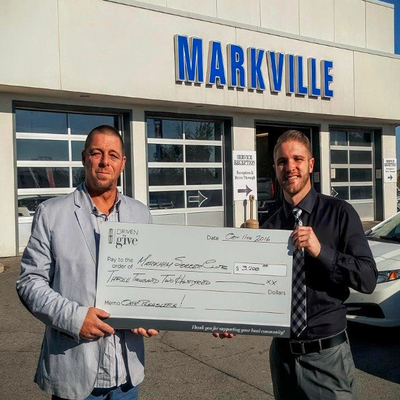 a cheque for $5,050 raised through a recent Lincoln DrivenToGive test drive event at Markville Lincoln. We are pleased to have been able to help raise over $40,000 over the past several years in support of various organizations in the community. 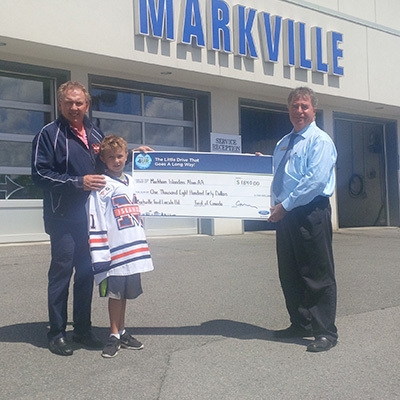 Markville Lincoln Supports Markham Soccer Club and Newmarket Minor Hockey Association with community fundraiser. 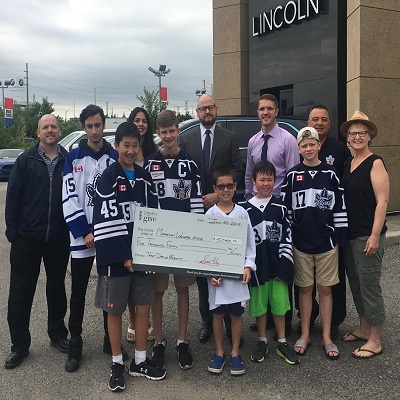 Sean Riley, President of Markville Lincoln Ltd. in Markham, Ontario, (centre) presents players of the Markham Waxers Hockey League with a cheque for $7,100.00, raised at a recent “Lincoln Driven to Give” test drive event, held at Markville Lincoln. 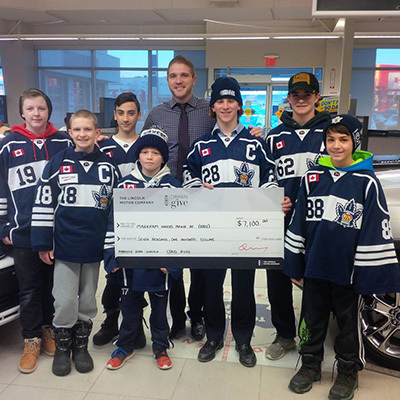 Players accepting the cheque from left to right, Nicholas Probert, Nathan Blair, Robert Ferrari, Michael Fournier, Steven Daher, Jamie Wood, and Anthony Manousaridis. 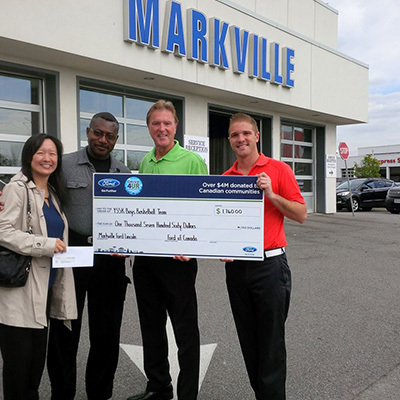 Kent Green of the Markham Soccer Club accepts a $3,200 cheque from Sean Riley, President of Markville Lincoln. The funds were raised at a test drive event Sept. 18, 2016. 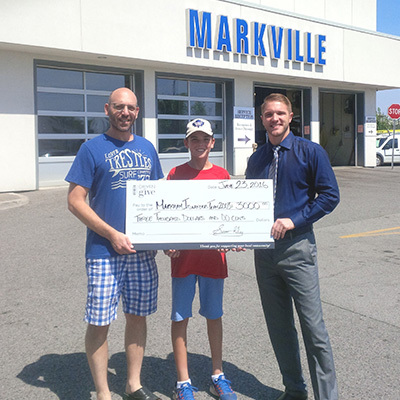 Over the last 10 years Markville Lincoln is proud to have helped raise over $40,000 for local schools and sports organizations. The food bank serves over 100 local families – providing them with much needed food on a weekly basis. 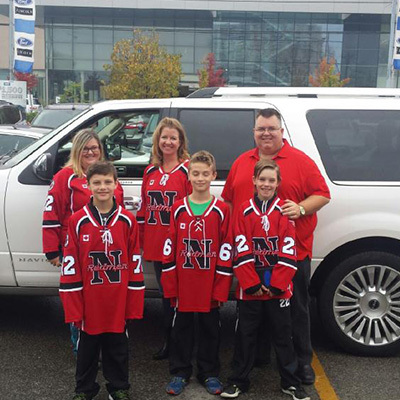 Paired through the Me To We organization, Brandon Lincoln collected non-perishable food along with Uxbridge Secondary School. Well over 40 boxes of food and over $200 in cash donations were delivered to the food bank November 16th to help fill their shelves. Brandon Lincoln matched its customer donations. Thank you to all who donated to help serve our neighbours.